Since the December 2017 patch there has been a big increase in Mac users not being able to open their game. This could be related to a variety of issues so let's see if we can find a common issue or just help those who aren't sure about troubleshooting their game. If you're running a version of macOS prior to 10.11 El Capitan please consider upgrading to the latest version your Mac supports. Turn off any antivirus you may be running, firewall, or 3rd party apps which 'clean up' files. Right click on The Sims 4 and select Move to Trash. Don't drag the file as it will only move an alias and leave the original in place. If there is another file in the folder, The Sims 4.par, leave it alone. If any of the steps above resolve your issue please take a minute to post here with what worked for you - it can help others! If you're still having problems please provide more information on your Mac. 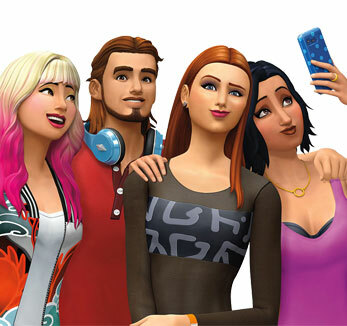 You will need to provide all the information asked for in this thread - https://answers.ea.com/t5/The-Sims-Mac/READ-FIRST-Sims-4-Mac-Help-Guides-and-Troubleshooting/m-p/461.... Just providing some information is not enough, ALL of that information asked for is important, even if you don't see the relevance, others will. Whenever I try to launch the Sims 4 game from Origin, it opens to the windowed screen, (which I have set) and it stays black for a little bit with the rainbow spinning circle for 30 seconds to a minute, then the game quits and my Origin screen opens again. I have a lot of mods installed inside of my mods folder. I use a MacBook Air to play and I haven't encountered any problems with my Sims 4 game before this. Does anyone have any advice on how I can fix this? I don't really have access to any fancy equipment or anything professional, and I have tried uninstalling and reinstalling the game but I lost all of my mods. I don't know what to do. So I have tried everything I can think of to make my Sims game open. I've deleted and redownloaded Origin, uninstalled and reinstalled Sims, removed my mods, updated my computer, updated Sims, and repaired the game. Nothing has worked. I even tried putting my Sims 4 folder on my desktop as I saw on another post, and that didn't work either. Please help!!! I have a MacBook Air, with OS High Sierra 10.13.3, if that helps any. I've moved your posts to this thread I've set up as the forum is being swamped with users reporting the same issue. Providing the information asked for and trying the steps suggested may help to work out the issue which so many are experiencing. So after much troubleshooting and following the steps. What worked for me was going to the Sims 4.app > Contents > MacOS > deleting that file. Restart Origin, redownload the game, and it should work after that. I have closed and reopened multiple times, have expansion packs installed and mods installed, game is still working normally. I only have one user on my computer so I'm leaving it there but others may want to try/test and move it to the root location for all users to access. Yes, those are the instructions, though the symptoms that post presents were not what I had. My game wouldn’t get past the maxis logo and would freeze. That's fine, thanks for confirming I can update the post. Help! I can't open Sims 4 nor can I open my Origin app. I tried a so many things, I even deleted all of my cc even. Every time I would click on one of the apps it would load for a second and then it would stop and do nothing. I searched online if anybody else had this problem, but for some reason it just will not work for me. Can someone please help me. Please read the opening post in this thread I have moved your post to and try all the suggestions.